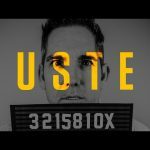 Subscribe and comment for a chance to win a free ticket to 10X Growth Conference 2018 in Las Vegas. This weekend, I got a special chance to surprise over 30,000 people live at Thomas & Mac Center and T-Mobile Arena in Las Vegas, NV for the WFG Break Through Convention. Ed Mylett is one of the top business leaders and peak performance experts in the world today. WFG has been in business for over 20 years and will pay out over BILLION dollars in commissions this year alone. I feel honored to have the opportunity to speak to such a great group. If you missed the chance to see me speak live you can go to and pick your own seat that is still available. 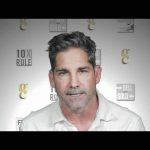 34 Responses to "Grant Cardone Speaks To 30,000 Entrepreneurs Live"
I think WFG is a great company. Ad Grant talks about banks giving a .5% on your money WFG is a much better way to go. I only have a WFG product. nice to see you two together. Man, pictures from this conference blew up Instagram. Great job Grant! Grant keep on motivating people. Cheers, James. Hi. First make a Decision to do Something. See the finished. Use your Creative Imagination to Have Something. Go Do Something to Help Humans. Are you willing to help? Bless others with your words or products. Go Be Great. 100X Everything!!! Incredible surprise speaker at #WFGBreakthrough! Fabulous event! For those who are interested, send me a message and I’ll help you be there next time. His speech was as a surprise guest speaker at WFG Break Through Convention 2017. 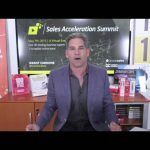 Powerful message and great energy in the room, many great speakers participated and gave motivational & inspiring speeches not just Grant Cardone. My email is chiaming.worldfinancialgroup@gmail.com, I’d love to share our mission with you! It was not only such an awesome opportunity to hear you at our WFG event but the fact that I have been listening to your audiobook ‘Be obsessed or be average’ and having an impromtu opportunity to briefly speak with you at the MGM, I truly believe that everything happens for a reason!! Thank you !!! Sometimes when you decide to be an Entrepreneur, you will go through so many choices for your business, that leads to different paths whether successful or not. Key advise is, always be willing to listen with open ears, but always be the final decision maker because NOBODY knows what it was like to be in your shoes, and no body should know your business better than you. And Always work like somebody is trying to put you out of business, that’s what keeps me going. Good luck fellow Entrepreneurs! Great to see you working with Ed Mylett & WFG. Would love to see you again at 10x Growth Con in Feb! Where is My Tickets???? 10x, I when are you going to send my Ticket Grant? Everyone in WFG is now getting all jolly that Grant Cardone(Who was paid first to speak at Breakthrough over the PHP Convention) slammed PHP on stage. The funny thing is that 90 percent of the audience in both arenas aren’t making real money to take off work for a month or quit their 6 figure jobs. WFG is a corporate governance that tells their agents to push their Flagship product, the FFIUL(which is a known ripoff). WFG is owned by Transamerica which is owned by Aegon(Dutch Company). The real WFG died when Hubert Humfrey sold it to Ageon which is real funny that WFG will never have their top agents bring up his name despite the fact if it wasn’t because of Humfrey’s System. They would never had been milionares. The opportunity for the new recruit to make enough money to retire early is slim to none. The likes of Fradel Barber, John Shin and all those EVC’s and above will never want you to grow beyond them because they still want to be the “Studs” in that company. WFG’ers are getting mad about PHP and PFA because of the fact that the new recruits have the chance to be the show, and not be under someone shadow. Prospective recruits want to be mentored by people that are killing it on the field, and who is on the field. Not “Leaders” who didn’t write a app in 5 to 10 years. The funny thing is that those same leaders in WFG like to stroke their egos and show their bs back office and talk about how much money they made this week or last month and flaunt that 10 dollar Championship Ring. Anyone with a brain knows that those numbers are inflated and not through active and productive results. The funny thing is that PFA and PHP embraces entrepreneurship and WFG embraces on telling stories of the past. Look at their lineup of the conventions and tell me how many EMD’s and above that stated in 2016 spoke on the stage in that last convention? None. All yall saw there were the guys that stated 10 to 25 years ago speaking there. Nobody that is fresh. The big issue with WFG and their convention is that they love to bring out the past to talk about the past instead of the future. Those leaders aren’t on the field. They just flex their big income to the brainwashed crowd. PHP and PFA on the other hand brings out new fresh leaders to speak at their conventions everyyear and they speak and embrace the future. Patrick Bet-David knows that Grant got paid big bucks to endorse WFG and slam PHP. 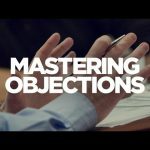 Patrick will not burn that relationship with Grant Cardone over some played out company that is a Corporate as New York Life and Morgan Stanley. I just feel sorry for the agents at WFG that don’t understand that they are glorified Independent Contactors…Scratch that, EMPLOYEES on a 1099. I didn’t bring a dog into this fight. I’m just telling how it is. Hey Grant! I think you are doing an awesome job! Thanks for putting up time to inspire pips like me! Hi Grant, this is Tri. I’m among 30,000 crusaders that we so blessed to have you speak with us. Thank you so much Grant for your passionate breakthrough and exploring in helping families together. And thank you for reminding us that we have ALL vehicles, ALL instruments to help people. Especially when you mentioned there are $3 TRILLION (currently $18 TRILLION)American money broke saving in a bank with interest pays less than 1%, and we have instrument to help people to do better, and if we don’t scream out, reaching out, fight for them then we’ll just waisting our time, leave our earning money behind, and we’ll surely not able to sleep at night even though we’re millionaire earner. We appreciate you and we’re so looking forward for you to coach crusading with us of No Family Left Behind. (BTW I’m ugly guy and had closed a beautiful wife too). I’m not sure I was excited during the whole conference until you came on stage Grant. I’m a retired military officer and your speech brought me back to my unit days. Confidence! Motivation! Perseverance! Gave me life!!! Yes…I’m not okay with just six figures. Dammit! Hoping to break bread with you one day! Uncle G that was awesome to see you there at the break through event for WFG. Thank you. That’s one amazing convention and a lovely surprise we all got from you and Ed. What an inspiration you are? You have an amazing talent and keep it going. Lots of love to you Grant. Subscribed! Action taking is the hardest thing for most people. So many people talk about change but do nothing. Take action. Do something. Anything. I did that with my first Facebook live video just 3 months ago and now I’ve interviewed a multi-millionaire (again, live on Facebook) and I have another lined up very soon. (I’ve only just started on YouTube so watch this space!!) Take action! Get out there! Just do it!! Anyone in AZ or CA interested to learn more or join the forces hit me up filippamorris@gmail.com for starters there are 9 trillions sitting in saving account do nothing but make banks rich. With us we can redirect those money directly to the investors and bypass banks. would you like to have .25% off of it? I mean if you have $10 million under management you can get $165k annually passively. It’s awesome that they prove they are blessed! If they look like a sleeze ball, and sound like a sleeze ball, probably are a sleeze ball. Wolves of wall street, with a sheeps costume. As long as you use the 5 feet rule and spread the word to everyone you know. Plus you will have the opportunity to Furnish your home with New Name Brand Furniture 35-50% off Retail. NEVER PAY RETAIL AGAIN FOR NEW FURNITURE!!!!! Your Earnings Is Based On What You Do By Yourself!! !